Valve says that the "Steam Universe" will expand into your living room in 2014. It looks like the long-awaited Steam Box could finally, really be happening. First we had Valve mondo hondo Gabe Newell say that the company would "be rolling out more information about... bringing Linux into the living room" sometime next week, and now a page with the header "The Steam Universe is Expanding in 2014" has turned up on Steam. "Last year, we shipped a software feature called Big Picture, a user-interface tailored for televisions and gamepads," it states. "This year we've been working on even more ways to connect the dots for customers who want Steam in the living-room. Soon, we'll be adding you to our design process, so that you can help us shape the future of Steam." And there's a countdown! There's a little more than 72 hours on the clock, which mean that zero will strike around noon EST on Monday. That's when the first of three promised announcements from Valve will be made, which presumably coincides with the three symbols underneath the neutron star thingie. 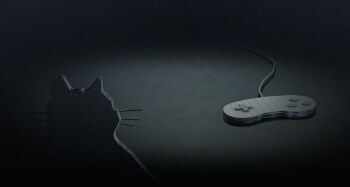 There's also a silhouette of a cat eyeballing a controller that looks suspiciously like a sandwich. I have no idea what to make of that. Anyway, the point is, something is happening! And we'll find out what it is on Monday! Until then, you may stare at the timer and speculate as you see fit.